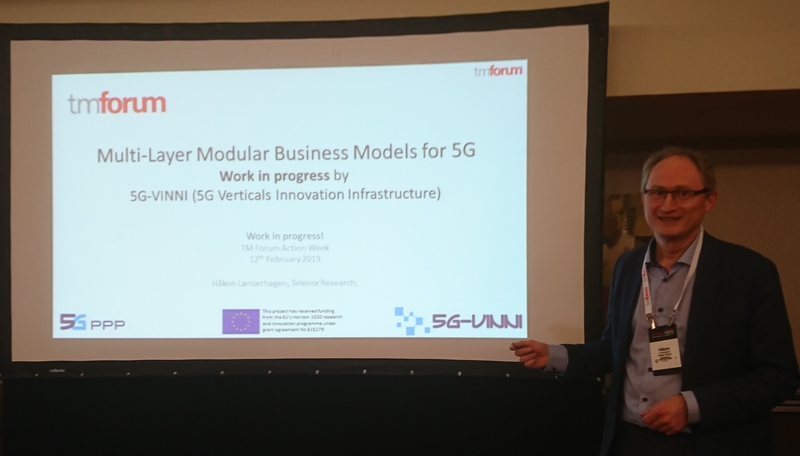 Håkon Lonsethagen, Senior Research Scientist at Telenor, has presented work in progress in 5G-VINNI, about the Multi-Layer Modular Business Models for 5G, at the TM Forum Action Week, in Lisbon. 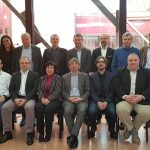 The presentation addressed critical capabilities and offerings lacking in the Telco space, and that the concept of Value Added Connectivity on-demand (VAC) positioned as a general service and “5G business model enablement layer” will enable and support end-to-end innovation and growth across all verticals. Moreover, the goal of the presentation was to identify relevant concepts and scenarios to help drive the high-level requirement to enabling VAC and supporting business model enablers. 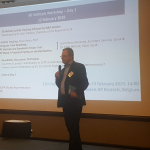 The presentation took place at the project meeting on “5G Impact on Business Assurance – Implications and Considerations in Monetization and Business Assurance Areas”, on February, the 12th, from 1:30 pm to 3:00 pm.